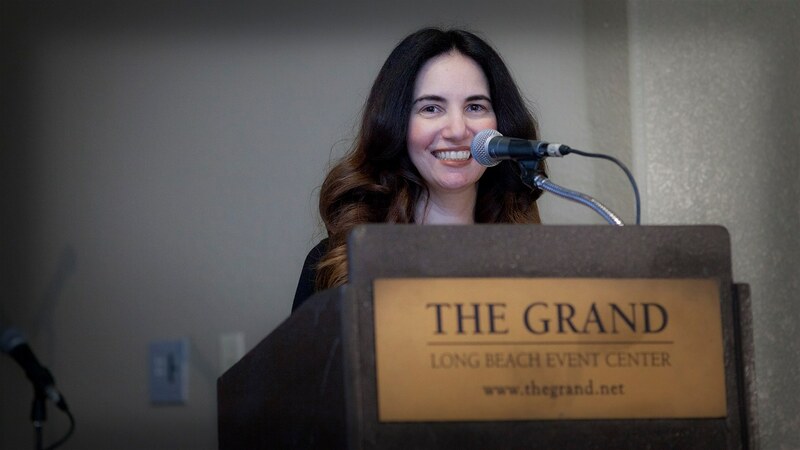 This past Sunday, March 4th, the Iranian Circle of Women’s Intercultural Network (#ICWIN) proudly presented an International Women’s Day (#IWD) celebration at the Grand Ballroom at 4101 E Willow Street in Long Beach and HPC’s Vida G. was truly honored to be their event MC. This momentous event took place from 12:30-3:30pm and had many artists and activists in attendance. 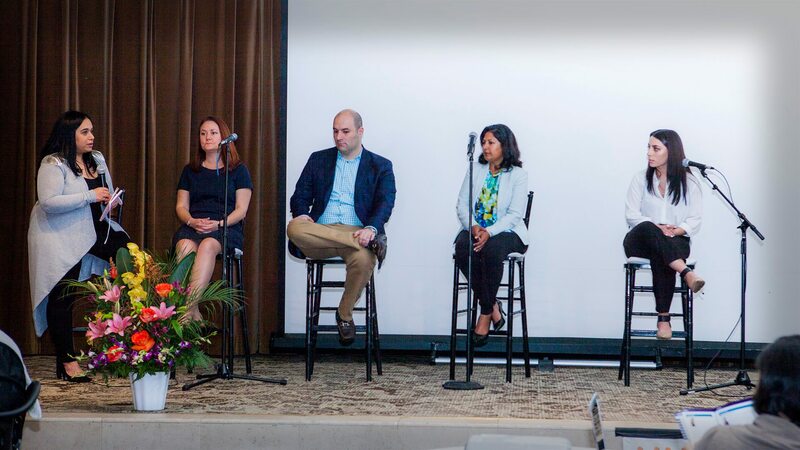 #ICWIN was honored to have had Dr. Niaz Kasravi, a national expert and advocate on criminal justice, social justice and racial justice as the keynote speaker. 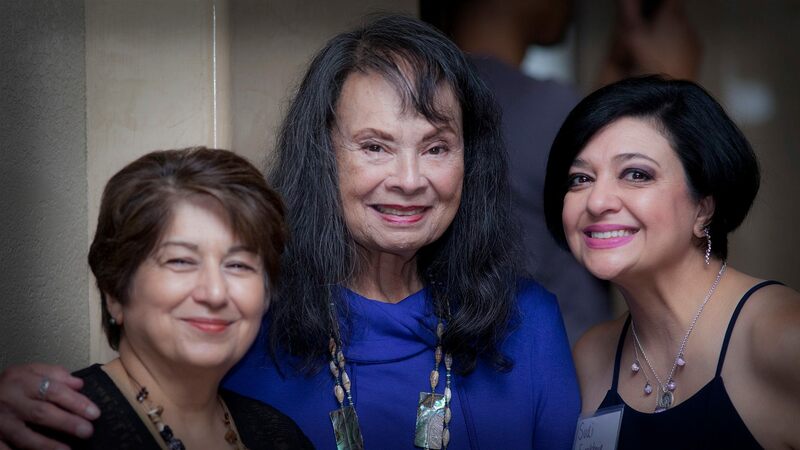 Gloria Arellanes, the elder of Tongva/Los Angeles who for more than 40 years has been at the forefront of the Chicana and indigenous movements started the program. Hanieh Jodat Barnes, Director of the Partnership of the Women’s March Foundation LA moderated a panel of candidates running for public office in Orange County including Kia Hamadanchy (Candidate from District 45) and Rachel Payne (Candidate from District 48), who are running for Congress as well as Farrah Kahn (running for Irvine City Council) and Mona Ghalbi (Volunteer/Advocate at #NextGenAmerica). Other speakers were activists Elahe Amani (Global Chair of ICWIN) and Sudi Farokhnia (Steering Committee of ICWIN). Vida also acknowledged the work of her grandmother, suffragist, educator and poet, Ashraf Meshkati, during the event. The talented violinist Justina Jones who played the violin while attendees enjoyed the art gallery. The dance group of NKauj Hmoob Long Beach brought joy to the stage on this International Women’s Day. A rising star, soprano at the age of 15, Ponthea Zahraii, will took the stage. Women Intercultural Network “WIN” was established in 1995 and is a 501© (3) NGO consultative to the United Nations Economic and Social Council. 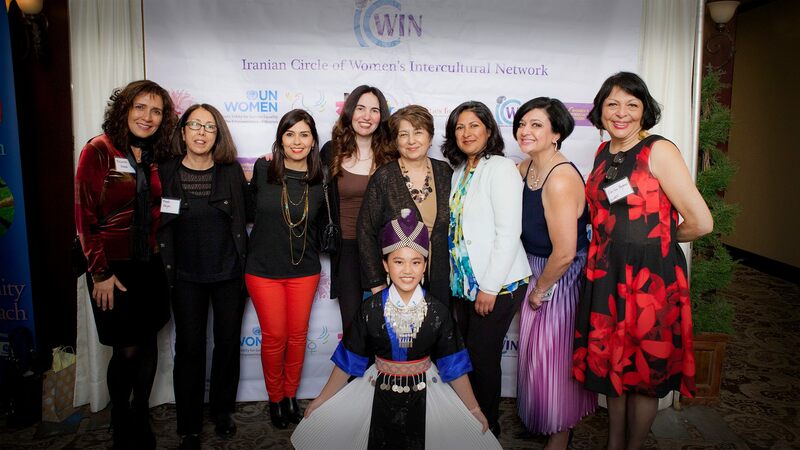 The Iranian Circle of Women’s Intercultural Network “ICWIN” joined the circles of in 2014. 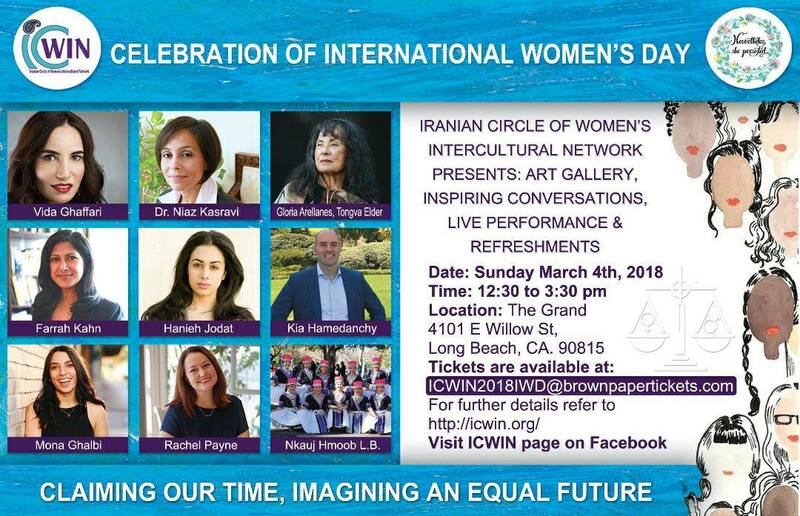 This Sunday, March 4th, the Iranian Circle of Women’s Intercultural Network (#ICWIN) proudly presents an International Women’s Day (#IWD) celebration at the Grand Ballroom at 4101 E Willow Street in Long Beach. This momentous event will take place from 12:30-3:30pm and will have many artists and activists in attendance. #ICWIN is honored to have Dr. Niaz Kasravi, a national expert and advocate on criminal justice, social justice and racial justice as the keynote speaker. Gloria Arellanes, the elder of Tongva/Los Angeles who for more than 40 years has been at the forefront of the Chicana and indigenous movements will start the program. 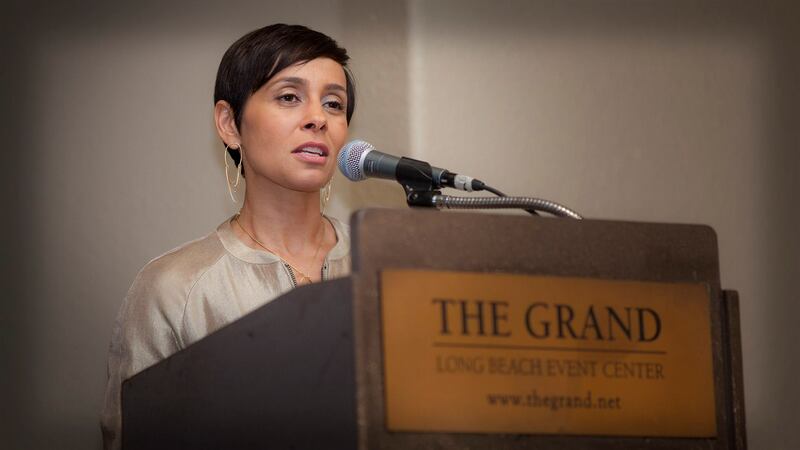 Actress and blogger, HPC’s own Vida G. (The Mindy Project, So Very Vida) will MC this event, and Hanieh Jodat Barnes, Director of the Partnership of the Women’s March Foundation LA will moderate a panel of candidates running for public office in Orange County including Kia Hamadanchy (Candidate from District 45) and Rachel Payne (Candidate from District 48), who are running for Congress as well as Farrah Kahn (running for Irvine City Council) and Mona Ghalbi (Volunteer/Advocate at #NextGenAmerica). Other speakers are activists Elahe Amani (Global Chair of ICWIN) and Sudi Farokhnia (Steering Committee of ICWIN). The talented violinist Justina Jones will play the violin while attendees enjoy the art gallery. The dance group of NKauj Hmoob Long Beach will bring joy to the stage on this International Women’s Day. A rising star, soprano at the age of 15, Ponthea Zahraii, will also take the stage.